The thought of being killed as a pedestrian in San Francisco is terrifying. Fatal pedestrian accidents happen far too often in the Bay Area, especially considering that San Francisco was recently ranked the second most walkable city by the website Walk Score. Unfortunately, it’s nearly impossible to guarantee pedestrian safety in a busy city like San Francisco. Organizations like WalkSF have been incredible about raising awareness about pedestrian safety programs and lobbying the city to make serious improvements. But fatal accidents remain far too common in San Francisco, which has already mourned 8 pedestrians this year. Oddly, these accidents often don’t receive the media attention that they deserve. Below is a complete list of 2011 San Francisco pedestrian accidents with links to more information about the accident and victim. January 27: Norman Daly, a 75 year-old pedestrian, was hit by a motorcyclist at the corner of Lincoln Way and 26th Avenue. Daly died on February 23. March 14: 87 year-old Aurora Venida was struck and seriously injured at the corner of Geary Boulevard and Arguello. She died in the hospital two days later. March 18: San Francisco resident Lourdes Richman was struck and killed by a truck at the corner of Second and Townsend near AT&T park. March 19: Weather was called a likely factor in this pedestrian accident at the corner of 8th and Market, the third fatal collision in only a week. May 6: 61 year-old James Hudson was struck and killed in a hit-and-run accident while crossing Masonic Avenue and Turk Boulevard. San Francisco sheriff’s cadet Jose Jimenez was later arrested and charged with the hit-and-run. May 25: A 22 year-old pedestrian was killed at Lombard and Pierce streets in the Marina district at 1:20 am. Police immediately ruled alcohol out as a potential factor. June 18: A 40-year old pedestrian was seriously injured in a hit-and-run accident at 18th and Mission streets in the Mission district. The victim’s injuries proved fatal hours later. July 12: A pedestrian was killed on 19th Ave near the ramp for Interstate Highway 280 at around 3 am. The vamp remained closed for hours, as police investigated the accident. The tragic reality is that many of these pedestrian deaths could have been avoided. Fortunately, the city of San Francisco is taking steps to make streets safer for pedestrians and cyclists. 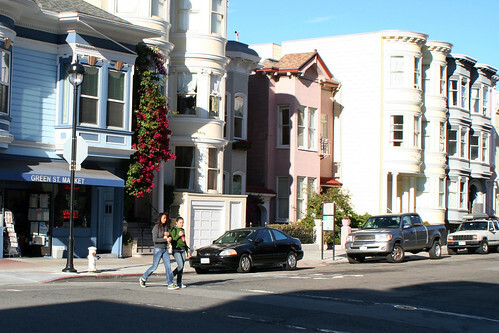 Soon after the May 6 accident, for example, the SFMTA approved the $20 million Boulevard plan for Masonic Avenue, which was suggested by the Masonic Avenue Street Redesign Study to reduce vehicle speeds and make Masonic Avenue narrower. But even in the midst of SFMTA programs to make the streets safer, remember that walkers and cyclists are never completely safe from danger on city streets. Of course, that doesn’t mean that you should avoid enjoying the city by foot and/or bike. Just be careful, take precautions while crossing streets, and be sure to obey all traffic signs and you should be alright.